Podcast Episode 53: Darryn Willoughby - Lessons from 30 Years in the Lab and on the Stage. Look him up, and you'll see a researcher has been involved in many foundational studies in strength and supplement research. But this Ph.D. is also a bodybuilder with 3 decades of competition under his belt. A few weeks out from competing at age 54, he shares wisdom about training, eating, and supplementing for long-term health and success. Why he's still competing in bodybuilding shows at age 54. The secret to success: go to the gym 4-5 times a week for 30 years. "It's not a team sport. I don't depend on others, I only depend on myself." Kicking young people's asses in competition: "It's a way for me to be a bit of an ambassador for the older folk." This guy wrote his master's thesis on an Atari computer. Seriously! Why your arms aren't growing: "Over-volume creates under-recovery." "Over-training is very, very difficult [to achieve]. But under-recovery is very easy." His take on the best workout split. What is the minimum effective dose of strength training? How older people can shift their training mindset from pure fat-loss to "muscle stimulation." "So many of them, they want to see 10 pounds gone on the scale. And I say, 'OK. What if you lost 10 pounds of fat, and gained 10 pounds of muscle? You stand on the scale, and the needle doesn't move.'" Knowing all that he knows, what's in his shaker bottle? "I'd rather eat." On weight-loss "transformations" and competition: "It's not about placing. It's about the grind, and how you feel about yourself. Do you feel good enough about yourself to be able to go through that process, and to be able to get out and just expose yourself to any and all criticism. She had met her goal. That's what it's all about." Nick Collias:	Hello, hello! 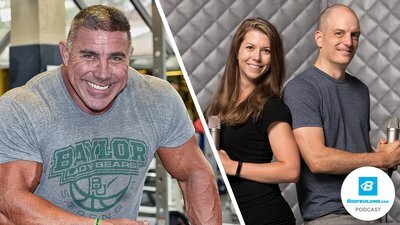 Welcome to The Bodybuilding.com Podcast. My name is Nick Collias. I'm an editor in this palace, this well-decorated palace. So is Heather Eastman, she's also a physique judge and competitor. And you know who else is a bodybuilder? This guy, he's Dr. Darryn Willoughby, he is a professor at Baylor University, specialist in exercise physiology, nutrition, strength and conditioning. He teaches Traps 301, right? Dr. Darryn Willoughby:	So they say. Nick:	But he's done studies on protein, protein sources, blending, the effects of training on genetics, a whole bunch of stuff. You go start looking around for Willoughby on PubMed and you'll get an eyeful. Nick:	Also competed as a bodybuilder, played semi-football into your forties. Now do you still compete as a bodybuilder? Dr. Darryn Willoughby:	I do. Nick:	Wow, okay. 'Cause I saw something a few years ago where you were talking about it in the present tense. I wasn't sure if you're still doing that. Dr. Darryn Willoughby:	Nope. I'm still doing it presently. Nick:	Presently like you're six weeks out right now? Dr. Darryn Willoughby:	We'll have to see whether or not I'll be able to stay. I guess I could always go down into physique and put on board shorts, 'cause I don't need legs for that, right? Nick:	Which one's more crowded? Heather:	At least that's the joke. Dr. Darryn Willoughby:	Although, I have to admit, I don't know that I wanna end up losing like 60 or 70 pounds of my muscle mass to compete in Physique. Nick:	This is a lifetime project. Nick:	I mean, so why do you keep doing that? As somebody who has a full life, family, you have an academic life, you know. Why continue with something as demanding as competitive bodybuilding? Dr. Darryn Willoughby:	Well, one, I enjoy it. Um, at this point in my life, it's more of a hobby than anything else. I mean, you know, it's not how I make my living, it's not how I take care of my family. Um, you know, I have a day job so to speak, and so, you know, it's one of those things where I'll always train. I'll always train as long, you know, as long as I'm able to. But you know, I like to compete because you know, it gives, you know, it gives me a bit more to train towards. You know, I don't really need a whole lot to be able to inspire and to push me, because I enjoy it. But it does help, you know. You kind of set, you know, set short and long-term goals for yourself and you know, and the other thing is, if I'm able to do it, then why not? Nick:	Sure. And so, have you been... I could ask you how old you are, it's a very personal question. Dr. Darryn Willoughby:	Well, I'll be 54 next month. Nick:	So, you've been going to the gym how many times a week for the last 30 years, would you say? Dr. Darryn Willoughby:	Oh, I've been going to the gym at least 4 to 5 times a week for the last 30 years. There was a time where I took a kind of a hiatus away from competing, when I went to grad school and then... but I never took a hiatus away from training. I always train. Obviously competing and prepping and... It is demanding because not only physically but you know, as you well know, it's the mental. You know when you're preparing for a show, there's really not a time during the day where you're not thinking about something. "Am I on point about my meal prep, my training?" You know, and this, that. So, you know, it does take a lot of psychological demand, emotional demand away. You know, I was competing back in the, you know, mid-to-late eighties, just a lot, you know. And I got myself in the NPC, nationally qualified. But then I realized that, I finally was honest with myself and told myself I wasn't going to be the next Mr. Olympia and that I probably needed to find a way to make a living, other than that. And so that's when I decided to go back to grad school. And then, like I said, after I got out of grad school, then I was in the process of starting my career in training, but I wasn't competing at the same time. And so, once I stopped doing that, then I decided that you know, I wanted something else to be able to kind of occupy my time and kind of fill that void. You know, it's just, there's that part of me, that there's that drive and that void to be to find some way of physical demand to push myself. Nick:	You clearly believe in the importance of bodybuilding and that culture it seems like, as well. You're exporting it to the rest of the world. Nick:	What is it about that culture that you like so much, and how is it different in the master's level? Like who, what is the backstage culture like for you with the guys that you're competing against? Is it friendly? Is it competitive? Dr. Darryn Willoughby:	Well, you know, it's kind of interesting. You know, in the GBO when I got my pro card, I got my pro card in the open division, so you know, I beat all these young pups, you know? And I won the super heavyweight division and my masters division. But now I mean, you know, I would only be competing going forward you know, in the masters. Nick:	Take it easy on him now. Dr. Darryn Willoughby:	Not only how much weight I'm pushing but the volume and the intensity in which I'm doing it, you know. And physique-wise, and so on and so forth, you know, it's kind of, you know, it's kind of fun. But on top of it, I think it's also a way for me to be a bit of an ambassador for the older folk, you know, to say, you know, this is something that we can do our entire life, you know? Dr. Darryn Willoughby:	You know what? Life gets in the way. Dr. Darryn Willoughby:	You know, and we just have to find a way. I've been, I guess I've been fortunate enough that I've always tried to keep my health and my outlook in terms of my overall wellness, as a priority so that life didn't get in the way too much. Dr. Darryn Willoughby:	Times, I couldn't, I couldn't make it to the gym, you know. Or this, that, and the other. Or you know, it's just like I said, it's just, it's all, it doesn't stop when you turn 35, you know. Dr. Darryn Willoughby:	Where you turn 40 and it's like, "Oh, my God, everything's downhill from there." Nick:	You have more control than you think. Heather:	And speaking of that, speaking of, you know, going up to these younger guys, is there something, even though you've been relatively health-conscious your whole life, you know, you have 3 decades of competing under your belt. Is there something that you wish you could've told your younger self that you know now? Because this is a sport that is very hard on the body. Nick:	I'm sure there's nothing. You knew it all from the start, right? Heather:	And so, to the 20-something year old and 30-something year old guys that are listening right now, is there, are there any mistakes you made or that you saw some of those guys make that are now not competing because of that? Dr. Darryn Willoughby:	Wow. That's a really good question. Um, I think probably what I've learned most over time, sometimes it's better to train smarter, not harder. Now, you know, that doesn't mean that we don't always train hard, but what I'm saying is that, you know, there are times when we should make modifications in our training schedule so that we can train, we can be smarter about the approach. When I was younger, I didn't really know any better, you know? I didn't have the years under my belt. I didn't have... lot of years under my belt, I didn't have, you know, some of the wisdom that I have now. And I certainly didn't have the education and the knowledge that I have now. And so, that's what, you know, I try to do that not only in people that I, you know, that I interact with, say, in the gym, but also with my own students, about things that we talk about in class that are not necessarily simply just specific to the content of the class, you know. It's things, the sidebars, the little ramblings off to the side that you know, it's the students that come to my office and ask me questions about training and this, how should I do this, how should I do that? You know, back when I first started, there wasn't internet. Nick:	Right. Mm-hmm (affirmative). Just magazines. Dr. Darryn Willoughby:	There was no internet. Heather:	There were just the guys at the gym telling you what they did. Dr. Darryn Willoughby:	You know, everybody didn't have a computer. Dr. Darryn Willoughby:	I mean, you know, the first computer I had was an Atari computer back when I was working on my masters, you know? Dr. Darryn Willoughby:	An Atari computer. Nick:	When you were supposed to be playing, you were doing your masters thesis. Dr. Darryn Willoughby:	So, I didn't have you know, the ability to access PubMed or a lot, I got a lot out of like, Muscle and Fitness magazine and then when Flex started being published and you know, that was, that was kind of my, you know, my primary source of information and you know, the National Strength and Conditioning Association was just out in its infancy. Some of their publications were starting to come out, you know, their Strength and Conditioning Journal and stuff, and so, you know I started reading and just trying to educate myself as much as possible. So, you know, I guess I would say, is that it would have been nice to at least have some amount of knowledge or the ability to more easily educate oneself. Back then, I really, I went to my, I started working on my Ph.D. before I started really begun to delve way, way into that. Nick:	Um-hum. When that, when you started doing that, did you have a moment where you went, "Oh, my God, all these things these muscle mags have been telling me are complete BS." Dr. Darryn Willoughby:	Well, you know, you know what? Nick:	Or is it the opposite? Dr. Darryn Willoughby:	That's a good question. Because you know my Ph.D. was, was a lot of basic science. I mean it was lot of like lab science types of stuff, so I mean, it wasn't like, um, and even though my specialization was muscle physiology and biochemistry, you know, it wasn't, you know, we didn't spend much time talking about you know, what's the best way to do a bench press, what the best way to structure your training program? Dr. Darryn Willoughby:	None of that stuff, you know. Even though I'd gotten the CSCS, the Certified Strength and Conditioning Specialist exam through the NSCA, and that helped. But like I said, almost all my knowledge, it was all nerdy type of stuff, you know. Nick:	So, it didn't feel like the same project? Nick:	You keep them pretty separate still or do you feel like, do they come together? 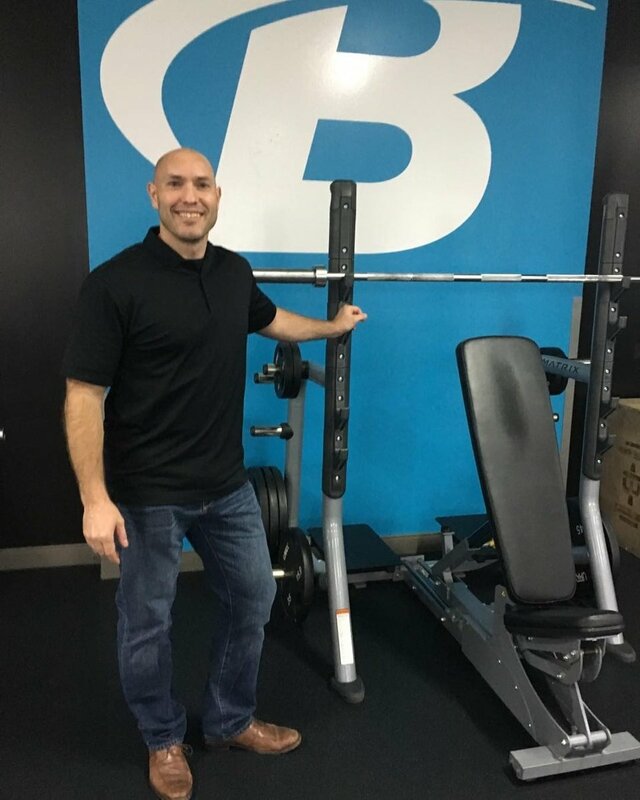 Dr. Darryn Willoughby:	You know what's been interesting is that as I began to learn all that and with the knowledge that I already had kind of in a more practical sense from my lifting and some of the experience that I've garnered that way. Then I kind of started to marry the two. The more kind of applied practical knowledge that I had and the more basic science knowledge that I was gaining in grad school. And I've continued to do that, even to this day. I mean, nothing's changed. Nick:	Probably felt pretty crappy, too. Dr. Darryn Willoughby:	Oh, it was awful. I remember, oh yeah, it was terrible. I was like eating like no carbs and it was just, you know. Now I look back and I was like, that is the absolute worst thing that I could've done. Dr. Darryn Willoughby:	I work with people on the side and do a lot of prepping for physique competitors, whether it's female or male, whether it's bikini or physique or bodybuilding, and I enjoy doing that. And because now it's allowed me to, based on what I've learned and what I understand about you know, biochemistry and metabolism, you know, it's definitely helped me to be able to take a better approach as a practitioner, as well. Nick:	Practitioner and your, and the scientist in you, what does that look like in action? Does it make for a simpler training experience, or how is it different than what you grew up learning? Nick:	...eight by three, that's the answer. Dr. Darryn Willoughby:	Well, I remember years ago; I don't know, it was like in the late '80s, maybe. I was living in Austin. There was a training seminar at one of the Gold's Gyms there, and it was by Lee Haney, one of the former Mr. Olympia's. Nick:	Sure, "Stimulate, don't annihilate." Dr. Darryn Willoughby:	And, he, I remember him saying, he said that whole topic, and I remember him saying about recovery being so important. He just said, "The idea is that you want to stimulate the muscle to grow, not kill it." Dr. Darryn Willoughby:	And I remember, you know, taking that in and because my approach was just to go kind of annihilate it. Dr. Darryn Willoughby:	And I remember taking that in. It was like, "Okay." And now, over the years based on what I've learned not only educational-wise, but now from my own experience, particularly now that I've gotten older, I totally get it. Dr. Darryn Willoughby:	On multiple levels. Heather:	No, we women are an all-or-nothing species. Nick:	Should tell her, "You need to be a quitter," is what. What's that? Heather:	We women are all or nothing. Nick:	And there's just, there's a narrative of suffering that we've heard over and over again, people, and Heather's talked about this a lot. You get plugged into the competitive culture, and you go, and you have a coach, maybe it's luck of the draw. You have a good coach or a bad coach. Your bad coach might be the one who just says, "Alright, this is the way. It's gonna be hard, and you believe it, and you sign up for everything." But it doesn't have to be that way. Dr. Darryn Willoughby:	No, it doesn't have to be that way. I've started working, and she's actually my cousin, and she did her first show in figure last year, and her mother was keeping me abreast. Her mother and I have been like, she's like one of my favorite cousins from when we were a little kid. But her mother was keeping me abreast of her prep, and I was like, "That just makes no sense to me whatsoever." It was bad. And she came in, and she looked okay, but anyway, the approach was so over-the-top, that after it was over and she went back into training, she was so unbelievably depleted and just torn down. She went into rhabdomyolysis, and she was in the hospital for a week. Dr. Darryn Willoughby:	It was bad stuff. Bad stuff. There is no excuse for that. Heather:	And going back to, 'cause Nick kinda touched on it. We want sets and reps. So, we don't necessarily need sets and reps, but give me one example of work smarter, not harder, that you've learned personally. Nick:	When that guy comes up into the gym and says, "What's the secret, man? You've been doing this for 30 years." Dr. Darryn Willoughby:	Well, you know, one of the things that a lot of times that I'll ask is, you know, because I, for instance: I get the question, "My arms aren't growing." And so, I'm gonna use this to kinda lead in, to answer your question. I'll say, "Well, my arms aren't growing." He goes, "I train 'em all the time, they're just not growing!" Okay. So, you train 'em all the time, I said, "How many days a week do you train 'em?" And then he'll gimme the answer, and it's usually like, "At least two, sometimes three days a week." And then I'll say, "Okay, so what other accessory muscle groups are you training, let's say for biceps." Said, "How many days a week do you train back?" Oh, and then I'll ask, I'll say, "Okay, what exercises are you doing for your biceps?" And usually, it's like four or five exercises. You get it. 'Cause I know you've probably worked with clients this way as well, and they'll name off four, sometimes five exercises, and I'll say, "How many sets," and, you know, "How many reps," and of course, they have this huge, over-volume in this arm workout. And then I'll say, "Okay, back. How many times do you work back?" And then they'll tell me, and I said, "Okay, well, there are multiple problems here," I said, "because you train your biceps when you work your back. Pull-downs, rows, any of it." So, I said, "So, you're basically working your biceps almost every day of the week." Dr. Darryn Willoughby:	And I said, "So, no wonder they're not growing." So, then, it goes back to, then, starting to cut way back on the volume, way back, for the biceps. It's like, "Okay, we're gonna drop back and we're only gonna do these two or three exercises." And then we're gonna do only, for instance, two days a week, for instance. You know, it all comes back to it's not so much always just an absolute magical number. At least, for my experience has found, not so much a magical number on how many sets and all that. But what I found in terms of, it's just volume. Because over-volume programs create under-recovery. You know? Some people call it over-training, but becoming over-trained is, physiologically, actually, over-training is very, very difficult. But under-recovery is very easy, and if we don't recover fully, then we're not going to respond as optimally as we would like. And so, I have found that it's usually more of an issue of simply just volume. And it could also be frequency, meaning that they're just doing way too much, and they're doing way too much in a workout, and then the high frequency; they're not able to recover adequately between workouts. Heather:	I think so, yeah. Nick:	Do you find yourself gravitating throughout your career toward a certain split, where you're like, "You know, it's just easier to not screw this up if you do it this way." Dr. Darryn Willoughby:	You know, one of the first things that I'll typically ask them is, "Okay, so let's talk about life. Okay?" Nick:	Start with the next small topic. Dr. Darryn Willoughby:	"What is your lifestyle like? What is your schedule like?" You know? Because let's take that, and what about your daily schedule could perhaps be modified relative to your training, and what can't? Work, for most people; okay, they can't get around that. Sometimes school. If they're in school, it's hard to get around that, with their class schedule, for instance. Or other responsibilities at home, or with the kids; "I gotta go take my kids to soccer practice," or whatever the case may be. So, there are those types of things that at least, maybe for the next six or eight weeks, they're kind of untouchable relative to just life. Nick:	Mm-hmm (affirmative), sure, there are people who will bite off more than they can chew all the time here. Dr. Darryn Willoughby:	Exactly. Because, you know, it's like, "I can't." And I've known sometimes trainers who always said, "It don't matter. This is the way it's gonna be, and you're just gonna have to find a way to make it work." Well, you know what, guess what? A person... We all have to do what we have to do within the course of our day, and so I think we have to find a way to adapt our training program around those aspects of our schedule that we can't change, that are not really that modifiable. For some people, it might be getting up early in the morning, and go, doing it, getting it out of the way if they're that kind of motivated and committed to do so. Because then they go to work, and then after work, they can't go to the gym 'cause they've got... their kids are in soccer or baseball or whatever the case may be. There might be a day or two during the week that it makes it hard, and so instead, there's the weekend. "What foods do you absolutely cannot stand?" 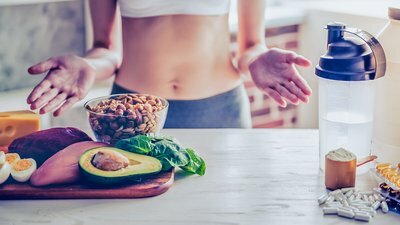 Dr. Darryn Willoughby:	What foods can you not stand? List 'em for me. I'm not gonna recommend something if you're not gonna like it. Even if it's great for you. You know, I'm not gonna say, "Here's your diet, and eat it, and don't complain about it." Because otherwise, I mean, do you guys like liver? Nick:	Uh, certain ways. Certain preparations. Dr. Darryn Willoughby:	So, she doesn't like liver. So, if I said, "You have to eat liver," you're gonna say, "Poo-ey on you, I ain't, I'm not eating that stuff." Heather:	I'll eat just about anything else. Heather:	Yeah, compliance is key. Dr. Darryn Willoughby:	Depending on that, they might do two-on, one-off, or two-on, three-on, in the week. Some people, maybe it's just Monday through Friday, nothing on the weekend. It maybe Monday, you know, Tuesday, Wednesday. For instance, I had somebody that I was working with them not too long ago; said, "You know, right now, my weekends just won't work." I said, "My kids are too involved." Wednesdays are out. After work. And he said, "I am not getting up at 5:30 in the morning to go work out." He goes, "I'm just not gonna do it." I say, "Okay, I get it, you don't have to." He goes, "Wednesdays are out; I have church." He goes, "That is, that's a non-issue." I said, "I get it." Okay? So that only leaves me Monday, Tuesday, Thursday, Friday. I get it. We can work with that. Nick:	That's a lot still. Heather:	Yup, that still works. Dr. Darryn Willoughby:	We can work with that. I said, that is fine. If you don't wanna work out on the weekend 'cause that's family time, then don't work out on the weekend. I said, "You gotta keep wifey happy, you know, happy wife, happy life type of thing," so you know. Nick:	So, knowing everything you know as a researcher as well, what do you think the minimum effective dose of strength training is? If you're like "You know what? You gotta get in at least this much." Heather:	Yeah, wants to know the minimum, especially me. Dr. Darryn Willoughby:	Well, you know, I guess you can take the approach and look at, for instance, kinda the recommendations, for instance, from the American College of Sports Medicine, saying at least three days a week type of approach. And that may be the case. But I think it depends also on intensity, volume. I mean, if somebody came to me three days a week, and they just came in and they just kinda went through the motions and they were just lifting weights that were just very light. They're just kinda going in to say that they're there. But they're not really pushing themselves. They're in there three days a week. And then you got somebody coming in two days a week, but when they're there, they're absolutely killing it. Guess who's gonna reap the greater benefits? The two day a week, killing it, every time. As a general rule of thumb, it probably works fine. There are other issues that come into play as well. I would probably say that if a person was coming in two days a week, and they were doing kinda like a total-body approach type of thing, they could see some improvement in that. Now, if you wanna come in and be able to do something like that, and be able to make improvements enough to actually be able to be a physique competitor? No, probably not. But if you're talking about somebody that's just kind of a general basic fitness approach? To be able to improve muscle strength a bit, to improve overall health outlook, and those types of things? Yeah, something like that would be good. But again, I would probably try to maybe err on them maybe trying to come in, maybe as a bare minimum, again, maybe on that three times a week. And they're doing something that, it's at least moderately-intensive. Nick:	Sure, or maybe if it was two times a week and they have a full life outside of it still, where it's like, "Hey, maybe you go for a walk most days. You do a yoga class once or twice a week." Nick:	Right. Exactly, the NEAT people. Dr. Darryn Willoughby:	What was that? Heather:	Yes. There's now a name for what I do. Nick:	That person who parks over where I park on the edge of the parking lot. Dr. Darryn Willoughby:	Yeah. Exactly. Because that's actually a very good point, because there's some people that are very active in their daily schedule, but it's not something that they would consider as exercise, you know? There are a number of ways to be able to kinda work around this issue of not only stimulating muscle for an exercise activity type of approach, but also in being able to help stimulate a healthy metabolism, as well. Nick:	Mm-hmm (affirmative), sure. Sure, and you were mentioning that you're this ambassador for the older folks, which I think is an interesting way, ambassador from the world of bodybuilding. Which, you know; you hear headlines all the time saying, "Muscle is essential to quality and length of life." We hear it more and more these days. Time Magazine had a big issue recently that had a massive amount of coverage for, "You know what? Everybody over the age of 40, you really need to start focusing on muscle." But it can be hard for somebody who's 35, 40, to commit to the idea of focusing on muscle because at that point, maybe they don't want to grow at all, 'cause you wanna get smaller. You don't wanna get bigger. How do you recommend working around that problem for some people? Dr. Darryn Willoughby:	Well, you know, I think it all comes down to an issue of simply just body composition. Do you want to put on muscle, or at the very least, maintain the muscle you have? But if a person feels like they've got some excess body fat they need to get rid of, then just structure it in a way where you can at least stimulate your muscles to at least maintain the mass that you have, but if somebody goes from basically doing nothing, to living a sedentary lifestyle, even doing just a relatively small amount of resistance-related exercise, they're gonna get a modest improvement from that. But then it comes in, being able to do that, then also being able to whittle away at their fat mass, as well. Nick:	Yeah. But after a certain age, especially right now, I think they're probably thinking more about fat often than muscle, anyway. Dr. Darryn Willoughby:	Well, there's no doubt about that. I do nutritional counseling, kind of, I have kind of a little side business. I do nutritional, and most of my clients are female, and most of them are middle age and above. And that's typically their concern is, most of the time, that they want to lose weight. Dr. Darryn Willoughby:	Weight, period. So here we have to do. We have to sit down. You know where I'm going with this, and try to educate them. You know it's not so much about total weight. It's about fat weight. It's about your body composition and trying to, you know. But, you know, it's just so many of them, they want to see 10 pounds gone on the scale. And I say, "Okay. What if you lost 10 pounds of fat, and gained 10 pounds of muscle? You stand on the scale, and the needle doesn't move." Nick:	But your clothes fit differently. Dr. Darryn Willoughby:	I said, "So, how would you feel about that?" And they just kind of like... I was like, "You weigh the same amount, but yet, you've lost 10 pounds of fat, but you've increased muscle." And I try to tell them that whole imbalance between density of muscle and fat, and so on, and so forth. I said, "You know, so you're gonna look amazing." Heather:	Different points of data. That's what it was. Nick:	"Muscle mass doesn't count as weight. It's free." And protein, for him, it's basically free calories. Dr. Darryn Willoughby:	That's right. It's exactly right. Yep, very good point. Heather:	Yeah. We were talking about protein downstairs, and we kind of started getting into the whole protein... Because protein has that bad reputation of, oh it's... too much protein is going to destroy your kidneys. And I was researching that as I was talking to each one of you guys. I'm going back and researching and it all stems from one or two studies that were done on people who already had kidney disease. And somehow that's perpetuated this 40-year myth. And we've gotten other answers, but I want to hear your take and your explanation of why that is just complete and utter hooey. Nick:	Hooey? There's gotta be a better word than hooey. Heather:	I still pretend I don't cuss on these things. Dr. Darryn Willoughby:	Actually, you know what? I'm impressed. I thought I was the only one that used that word, if it is a word. I mean, it's one I certainly identify with. Number one is we have no data to show that anything conclusively, and really even in diseased kidneys, to show that high-protein intakes are going to exacerbate kidney dysfunction. Healthy individuals, with healthy kidneys, there's no data. Unfortunately, we don't really have a lot of data. There are some studies of like, a year's worth of data here and there, but we don't have any long-term longitudinal studies. We just don't. I would suspect, even if we did, that we wouldn't see much anyway, in terms of any deleterious effects from higher-protein intakes on renal function. Even liver. I have seen nothing that convinces me that higher protein intakes are going to create systemic metabolic stress on either the liver or the kidneys. Nick:	And for that person who's older, it could actually help them to hold onto that potentially healthy body composition, right? How do you feel like somebody who is in their middle age or older should view protein as a number to aim for or a priority? Where should it fit in their nutritional priorities? Nick:	It's a new to me. I only heard today, leucine resistance. It's a really interesting idea. Dr. Darryn Willoughby:	Yeah. And so, what that means is that, particularly in older folk, is that they could benefit from one, not only higher protein intakes because to help them combat sarcopenia. But also based on that is that not only higher proteins to make sure that of that, they have ample amounts of leucine. Meaning that they want to make sure that their protein sources come from more higher-quality protein sources, so that they can actually help overcome that leucine resistance. Dr. Darryn Willoughby:	So, the nutritional component–also activity, we can combat that there–but the nutritional component, particularly with protein intake is, as we age, is very important. It doesn't mean they need to go tank up on protein like an athlete, but it means that they need to be very conscious and aware of their protein intake. Recommendations, even though nothing's as hard and fast, I would say for the older folk, that they should probably be targeting at least a half a gram per pound of body weight. Nick:	Which is not that much. You can get that through, without ever touching a shake. Dr. Darryn Willoughby:	I mean, that should be their minimum amount. But in general, I would say that they probably should at least strive to try to get upwards of around about 3/4 of a gram or maybe up around a gram per pound. Nick:	At that level, the way that most people eat, do you think that, can a high-protein snack and three meals get you there? Or should you have a shake? Dr. Darryn Willoughby:	Is that a lean source of protein? Or is that a protein like in Texas? Is that a chicken-fried steak? Nick:	Don't say anything bad about chicken-fried steak. Dr. Darryn Willoughby:	No. I grew up on that. Mashed potatoes and cream gravy. Or is it fried chicken? You're getting the protein, but you're also getting it at the expense of a lot of fat. So, again there's the issue of, "Okay. I'm getting my protein in." And if somebody's already, maybe overweight and they're dealing with some weight-related issues, or they're dealing with some health issues related to their body fatness. Then again, that's something that would have to be dealt with, as well. So, there are a number of factors that could come into play, but bottom is that, yeah, as we age, we definitely need to be conscious of our protein intake, without a doubt. Nick:	Just even being conscious of it. That was another thing we talked about with a couple different people. Just starting to have that mindset of where you look at a plate, and it kind of comes apart into the pieces. Even if you're not a strict macro counter, can be just an incredible thing. Do you think that there is any value for somebody in kind of taking the time saying, you know what, "Even if I don't change a damn thing, I'm gonna count macros for the next month. I'm gonna just keep track of every single thing I eat and just have that understanding." Dr. Darryn Willoughby:	Yeah, you could. And you know that I typically do? I tell them to go buy the 2/3 rule. 2/3 of your plate is protein. The rest third is vegetables, carbs, whatever. Whatever that's not protein. Nick:	So just prioritize protein. Dr. Darryn Willoughby:	That's the 2/3 rule. 2/3 of that plate is filled up with a protein source. The rest is whatever you want on there. That way they don't have to worry about counting macros and all that other stuff. Nick:	Right, see, I'm with ya. I like more hands-on approaches. Dr. Darryn Willoughby:	So, I'm gonna put more protein-related foods on my plate than I am anything else. Sometimes that's all it might take. Nick:	I agree. No, I think that's a better way for the vast majority of people. As somebody who has never counted a macro in my life. Heather:	A much easier way. As somebody who's used a food scale, I'd much rather do that. Dr. Darryn Willoughby:	Hey you know what? They don't have to be older for that. That could benefit everyone. In the grand scheme of things, the exercise piece, with time, is relatively simplistic. You get them a program, and they learn the program, and they generate some amount of knowledge, and kind of relative competency in what they're doing it, and why they're doing it. How to do it. hat I found is that most people, the nutrition piece totally blows their mind. Because there are so many different ways to approach your nutritional program. And then now, if you go online, that just makes it even worse. Dr. Darryn Willoughby:	And so, it's like, "Okay. Well, what is a carbohydrate? What's a protein? What's this? And so, okay I've got to get this much of this and this. Okay. What are protein foods?" Just the basic basics of nutrition. For a lot of people, it's very, very difficult, and they struggle with that. So, you know, that's why I tell them, I said, "Okay. Don't worry about. For right now, I want you to go by the 2/3 rule." I said, "That's what we're gonna do for now." Nick:	No, I like that. Simple solutions. When we were doing the Facebook Live down there, we were asking him and a couple of other Ph.D.s who were down there, "What goes in your shaker bottle?" And your answer was like, "Give me a meal." Dr. Darryn Willoughby:	I like to eat. I would much rather chew than to drink them. Although, a lot of times, those of us in athletics or physique-related competing, we don't always eat for taste. We eat for function. Do we? Do we not? Heather:	No, that's true statement right there. Dr. Darryn Willoughby:	We eat for function more than we do taste, particularly when we're prepping. I mean everything's bland. We eat almost the same things over and over again. It ain't about taste. Only because, we know this by chewing, that whole process that actually stimulates gut peptides and hormones in our body to help with satiety. So that's because the body knows we're chewing on something so we're in the process of being fed. You just slam down a protein shake, and I'll do that if I'm really hungry and I'm on the go, and I slam down a protein shake, by 30 minutes later, I'm hungrier than I was before. Nick:	I was telling this to one of the guys we were doing a podcast with. Those things make me so hungry. Dr. Darryn Willoughby:	So anyway. So, it's just one of those things where again, I really just sit down and enjoy my meal, but again, I mean, if it's on the go, right after I work out, then I'll slam something down. And then in about another hour and a half, then I'll actually have a meal. Nick:	No, I like it. We have good takeaways here. "Stimulate. Don't annihilate." Get that 2/3, and chew rather than drink. Heather:	"Work smarter, not harder." That's my favorite one. Dr. Darryn Willoughby:	Yeah. Work smarter, not harder. Nick:	And you'll be on stage into the 50s at that point, right? Dr. Darryn Willoughby:	Yeah, hopefully into my 60s. You know I still go to shows and judge shows. We've got competitors that are like in their 70s. Heather:	We just did an article about that. The world's oldest bodybuilder. Nick:	Yeah, there are people in their 80s and 90s. Dr. Darryn Willoughby:	Even regardless of age, until you've gone through the grind, and we've chewed the same dirt. Regardless of how somebody looks when they get on stage, the fact that they've gone through the process, whether or not... Maybe they didn't go through it as intently as they could, but they've still gone through the process. They're up on stage, basically wearing no clothes, and in front of a bunch of other people, showing, and in some cases their weaknesses, or whatever the case may be. Dr. Darryn Willoughby:	And here's another thing. I was at a show about two years ago. And actually, I wasn't competing. I was there just as a spectator. I knew somebody that was competing in the show. And a woman came out in the master's class, and she was pretty big gal, and she still, in terms of getting lean, she still had a ways to go. And she had some saggy skin and the whole thing. And there were some people behind me that were kind of laughing and chuckling, and just really just hating on her. Well, come to find out, in the night show, this woman had been almost 200 pounds heavier, and her goal was to lose enough weight to feel good enough about herself to get on stage. Nick:	Yeah, there's a lot of that, these days, actually. We've written about that phenomenon. Dr. Darryn Willoughby:	It's not about placing. It's about the grind, and how you feel about yourself. Do you feel good enough about yourself to be able to go through that process, and to be able to get out and just expose yourself to any and all criticism. And for somebody to do that, she knew that she... Look around, but for her, she had met her goal. That's what it's all about. Nick:	Thank you very much for coming and talking with us, Dr. Willoughby. Dr. Darryn Willoughby, where can people find you online if they want to learn more about you and what you do? Dr. Darryn Willoughby:	Go online and just type my name in on a web browser. Heather Eastman:	That's how we found you! Dr. Darryn Willoughby:	And usually the first two hits on there will be me, my affiliation with Baylor University, and from that you can find my email. You can also reach me through PeakToPerform.com. That's an online nutritional coaching business that I have on the side with a couple of my colleagues. And then you can search for me on Instagram or Facebook. I don't really do Twitter. Nick Collias:	All right. Well, we certainly appreciate you coming in and sharing so much time with us. Dr. Darryn Willoughby:	Thank you very much. It's been an honor. Get the real info about how much protein to eat, when to eat it, and the best high-protein foods. Whether you want to lose weight, build muscle, or just stay healthy, learn how it all starts with protein!